We are closing the Beer Hall for Australia Day, Friday 26th January. 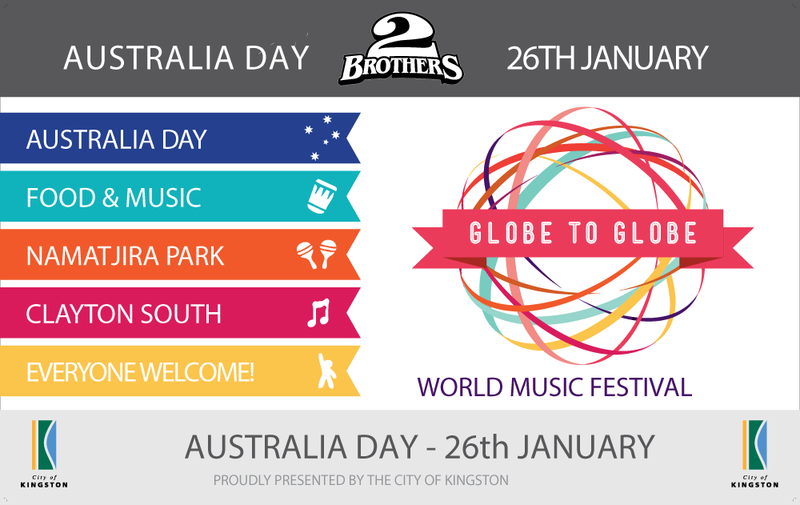 However, we will be just down the road at Namatjira Park in Clayton South for the Globe to Globe Music Festival. See you there! 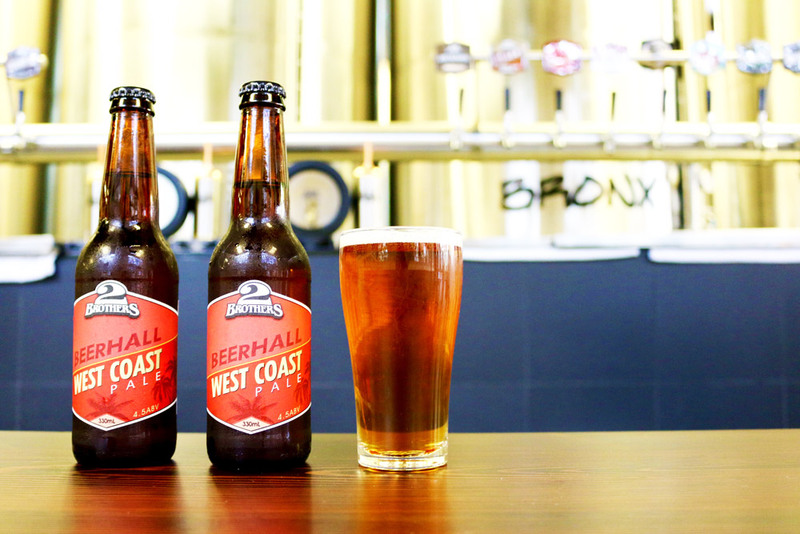 The latest of our seasonal releases, the West Coast Pale Ale has dropped just in time for the summer holiday period. Simultaneously refreshing and more-ish, this highly sessionable American west coast style pale is a deep amber colour featuring tropical stone fruit aromas and a squeaky-clean finish that begs you to take another sip. Generously hopped with simcoe, galaxy and Amarillo hop varieties, it is supported by toasty amber and crystal malts. Our story began in 2007 when we built our brewery in Moorabbin featuring tanks shipped over from a defunct brewery in Times Square, NYC. 10 years later, over 1,000 craft brews, and many award-winning pints, we are proud to say we are still Melbourne Owned and Melbourne Made. To celebrate this milestone, we have decided to create something truly special. The GUVNOR II is our second instalment of one of our most popular seasonal releases. 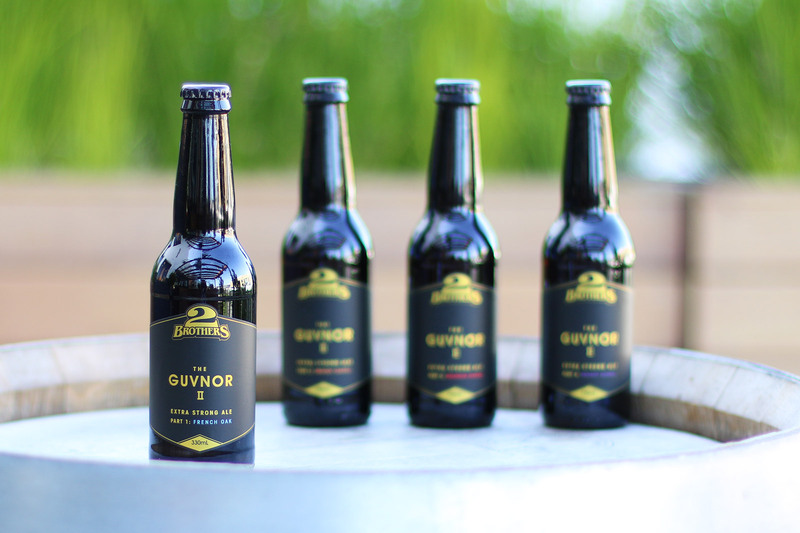 We have carefully crafted a four-part GUVNOR series, each individually brewed and aged to form four distinct parts of a whole. Each part will be released over the coming months with “The GUVNOR II, Part I: French Oak” set for release on 2nd December 2017. To celebrate, it will be available for sale at the 2 Brothers Beer Hall as well as selected stockists across Melbourne. As collector’s items, we don’t expect they will last long, so make sure you purchase them as soon as you can after release! 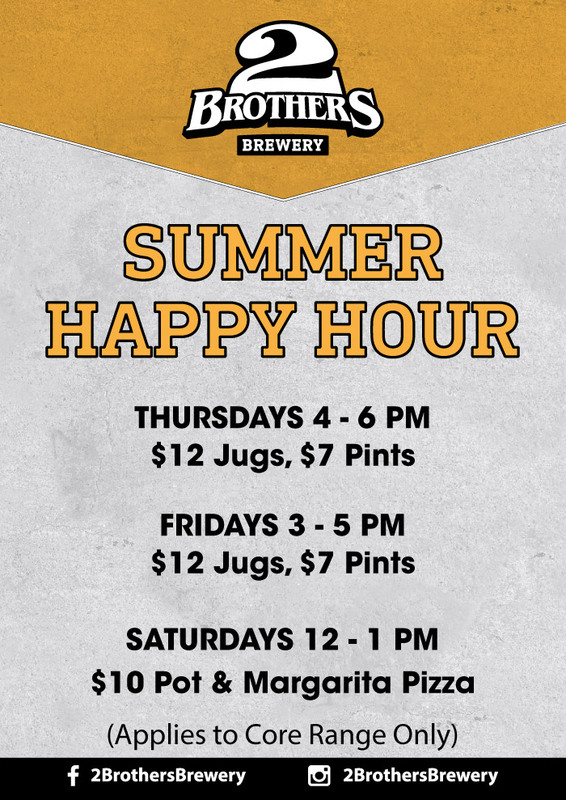 BWS – more stores on board! Click here to see which other BWS locations you can find us. Find us in BWS from this week! 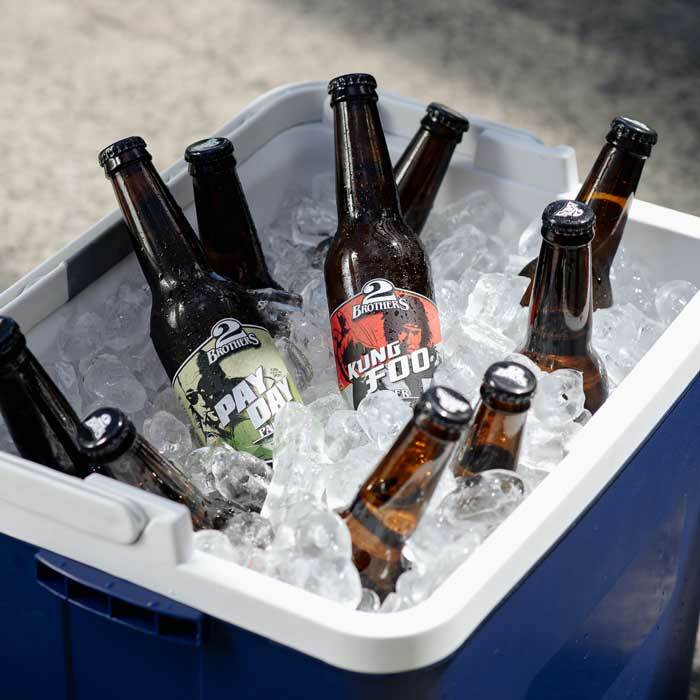 We are stoked to announce we have begun our rollout of Pay Day Pale Ale and Kung Foo Lager in twenty seven BWS (Beer Wine and Spirits) stores across Melbourne this week! We will be adding to this list over the coming weeks. Keep a look out on our website, Facebook and Instagram for updates on when your local starts stocking your favourite. We released it two weeks ago and this golden beauty is almost gone. Tri Hopped by name and Try Hopped by method. Amarillo, Simcoe, Ella. If you manage to snag a bottle, store it cold and drink it promptly. 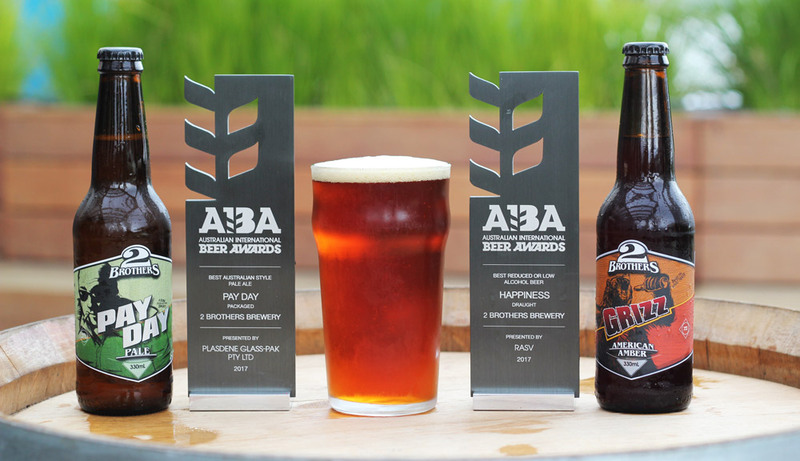 Boy are we dusty this morning but boy did we have a blast at last nights Australian International Beer Awards. Congratulations to everyone else who picked up awards! It’s humbling to be mentioned amongst so many great Australian breweries! We recently decided to make a beer named ‘Velvet Stout’ in honor of our 1000th brew. Based around the smoothness of a balloon of cognac and a nice Cuban cigar or ‘stogie’ if you will, this beer was brewed out of the need for us brewers to have our own late night celebratory sipper. We didn’t quite know what was to come of this beast, all we knew was that it had to be smooth, suitably warming for a winter session and approachable. We considered a raft of different beer styles, but settled on a smooth and dark sweet stout as our base. As we set about making the beer we soon learned GABS was around the corner. Knowing GABS and knowing it’s our one chance in the year to really let the hair down, we thought why not jazz up our celebratory Velvet Stout and bring it’s true origins to life. Next thing you know Chris is handling fresh cut Cuban and Australian tobacco, Andrew’s sourcing French oak barrels and Ben’s blending tea leaves. We had made good on our original inspirations of Cigars and Cognac and before you knew it Velvet Stout had put on a few festive kilos, shed its old coat and grown into ‘The Smoking Jacket’. In making the beer one of the less conventional elements to The Smoking Jacket was the use of Cuban and Australian tobacco. With this came the potential for nicotine in our beer. Although we anticipated the levels would be negligible, we wanted to err on the side of caution before we made it available to the public. As a result, we sent some samples away for testing. Unfortunately, these results were not received in time for the GABS deadline and we decided to showcase a ‘Censored’ tobacco-free version of The Smoking Jacket at the festival. This cognac infused oak aged beer tastes glorious, true to its original promise. So get down to the festival, put your feet up and enjoy. And as for the Uncensored Smoking Jacket, we plan to share this dark mysterious beauty in the Beerhall soon.